with 10 panes of glass giving lots of light, these doors are suitable for internal or external use. 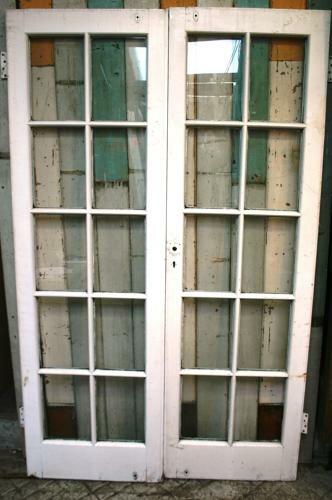 Very well constructed, being mortised and tenoned at every rail, the doors date to c. 1920. Please note the glass doesn't meet modern safety standards and will need replacing. We can quote to do this if needed.